Eggs are very versatile and you can easily stir up dishes with eggs. 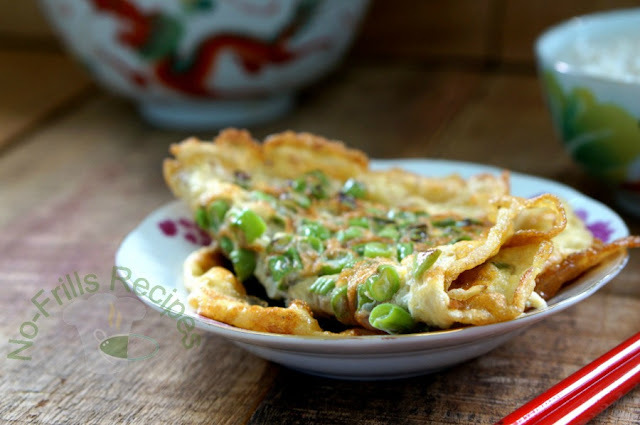 This French bean omelette is a very popular homey dish and I'm sure that many Chinese households have served this dish one way or another. 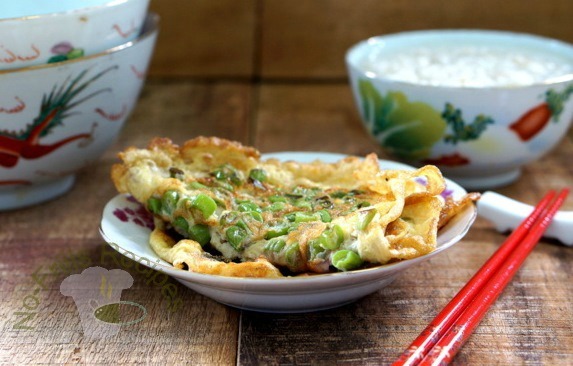 This dish can be easily prepared with a few ingredients and can be served with white rice or plain porridge. 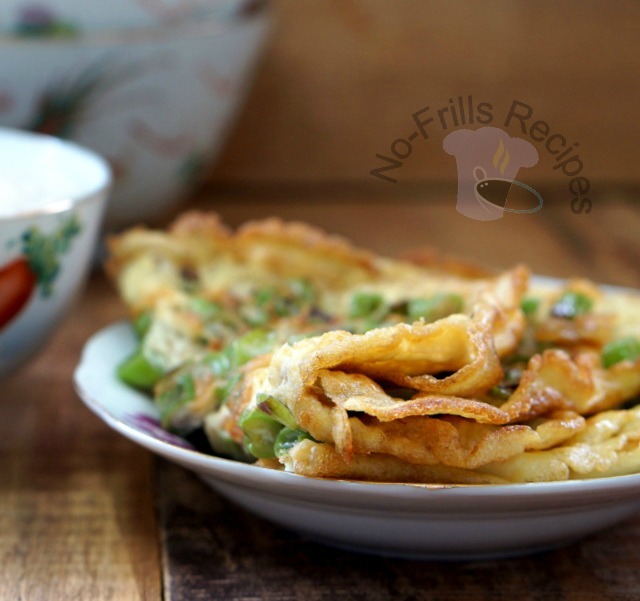 I love the crisp edges...nice to go with some rice or congee. I love this. So simple and yet so good!